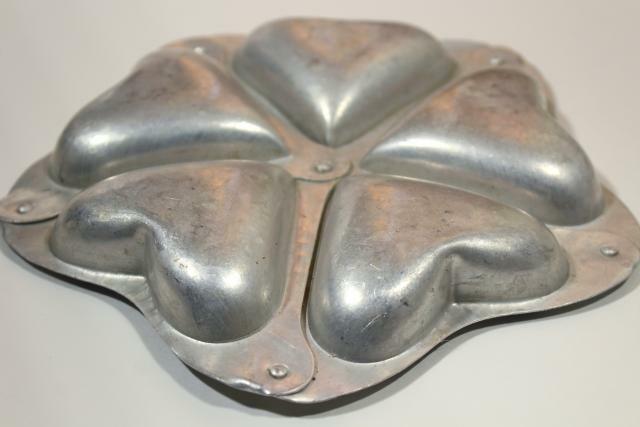 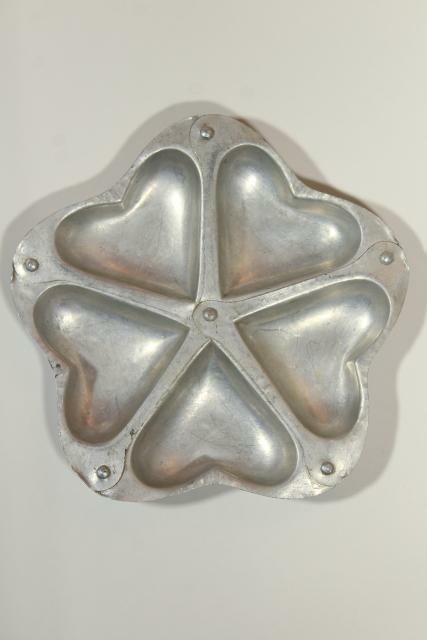 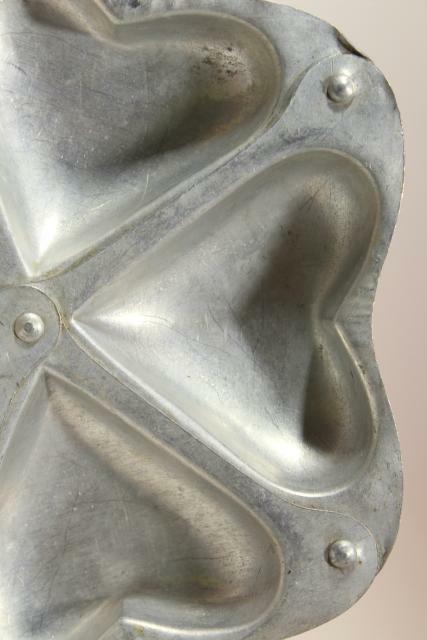 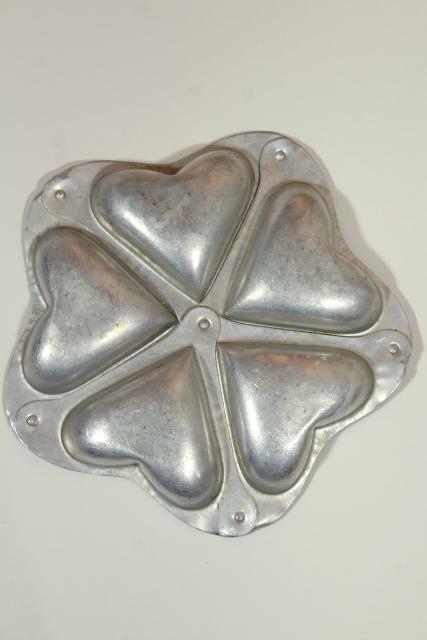 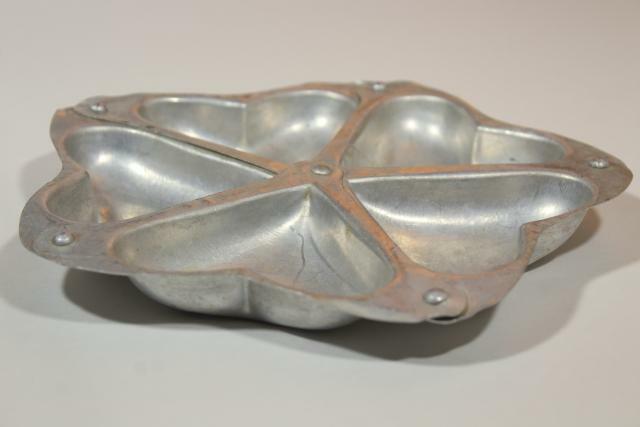 Old (probably 1930s vintage, we think) aluminum pan with rivet construction, a little primitive and worn from years of use, but a charming and unusual piece nonetheless! 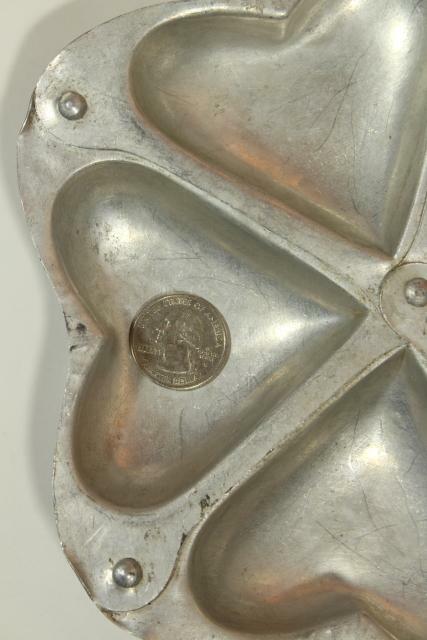 This is not marked with any makers marks that we could find. 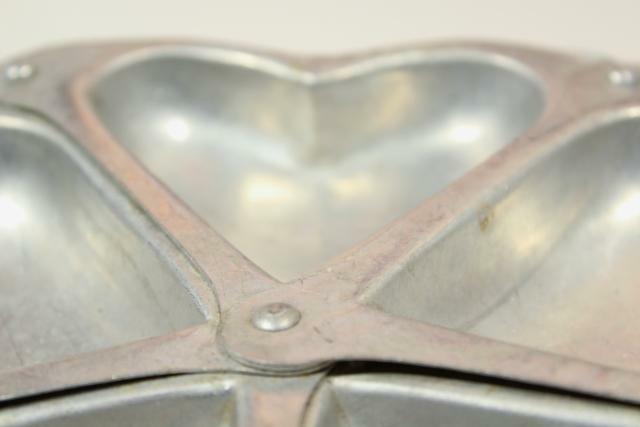 It measures about 7 3/4" overall diameter, with individual heart shapes measuring about 3" wide x 2 1/2" tall.